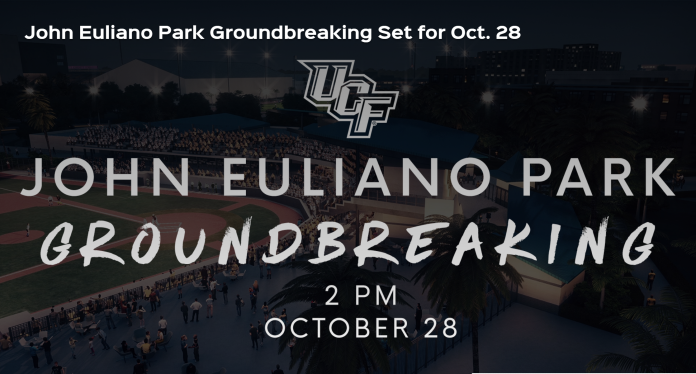 On Saturday, October 28, at the UCF Baseball Complex, the official groundbreaking of John Euliano Park will take place at 2 p.m. – hours before UCF Football kicks off against Austin Peay at home. 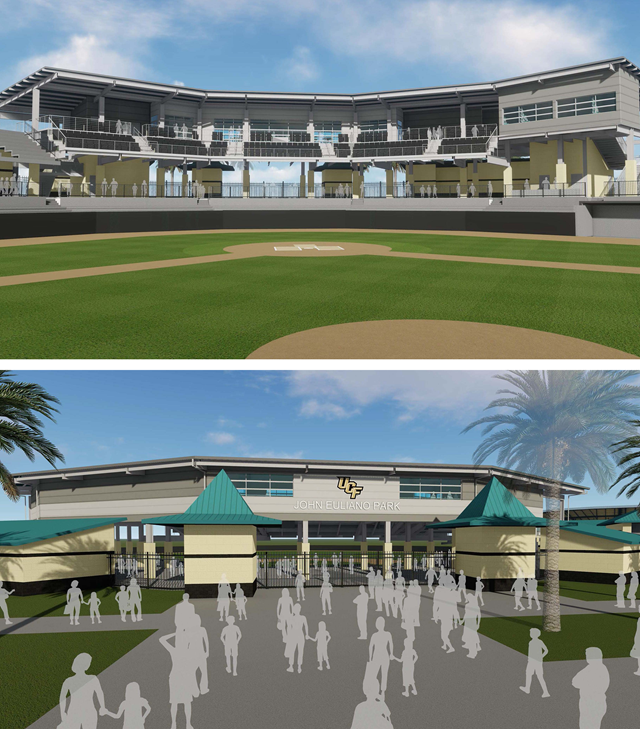 At $3.3 million, the long-awaited park will allow for an upgrade to the home plate tower, featuring a 300-seat premium club section – with outdoor seating and indoor amenities, an airconditioned lounge, food and beverage service, private restrooms, and a dedicated entrance to the space, UCF Athletics said. 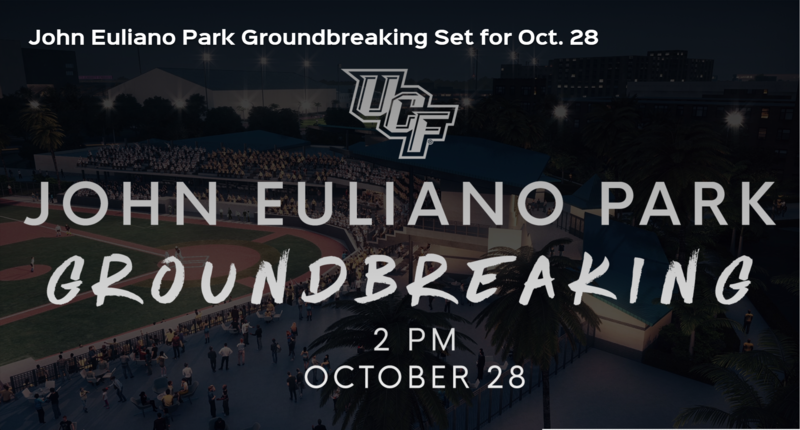 John Euliano currently serves as the Vice Chair to the UCF Foundation Board of Directors. Euliano donated $1.5 million to give officials the green light on the project. Other enhancements will be made as the project expands. Director of Athletics Danny White and baseball head coach Greg Lovelady will make remarks at the ceremony.